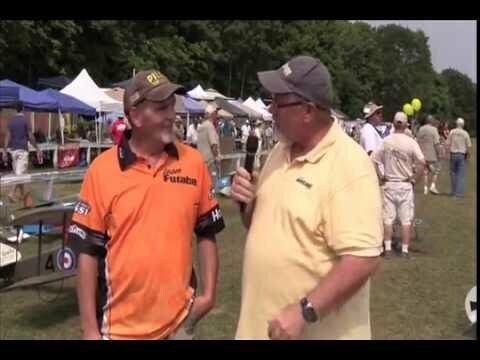 Expert scale designer, builder and flyer, Mark Rittinger is a busy guy. 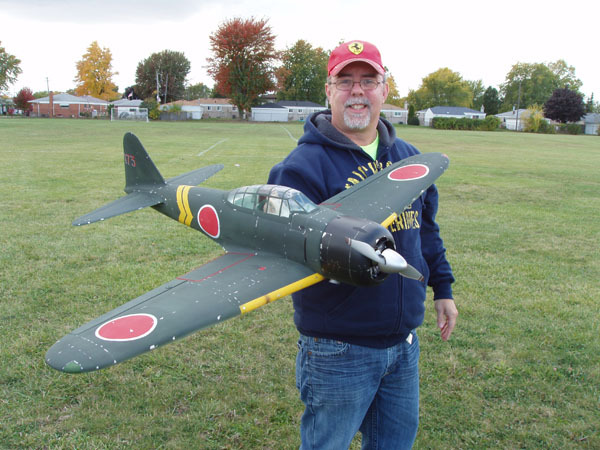 Adding to his extensive series of electric powered RC WW2 warbirds is his newest creation, the infamous Japanese A6M3 Model-22 Zero. 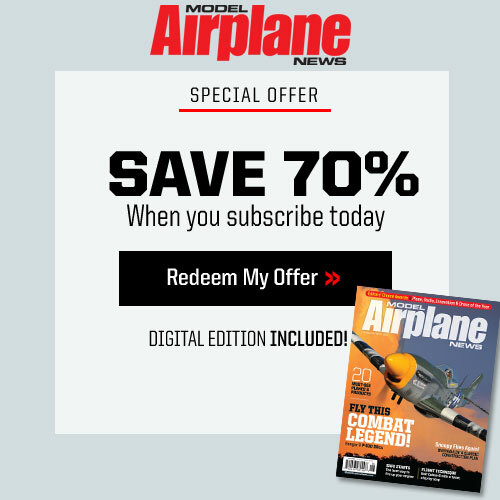 This construction article will be featured in a future issue of Model Airplane News complete with detailed photos and complete building plans. Complete with retracts, the Zero even has a plastic canopy available from the Author. 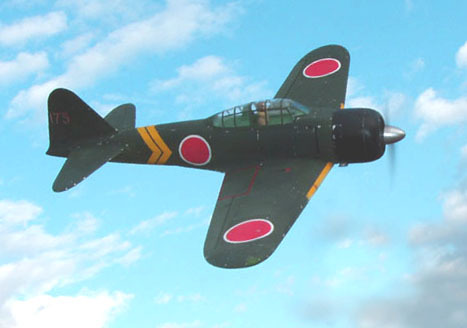 The Imperial Japanese Navy’s Type “0” fighter is probably the most recognized Japanese aircraft of World War II. Coming as a bit of a surprise the Americans at the dawn of the War, and was widely used in the Pacific Theatre as well as during the attack on Pearl Harbor. The “Zero” proved a formidable weapon in the early parts of the war. 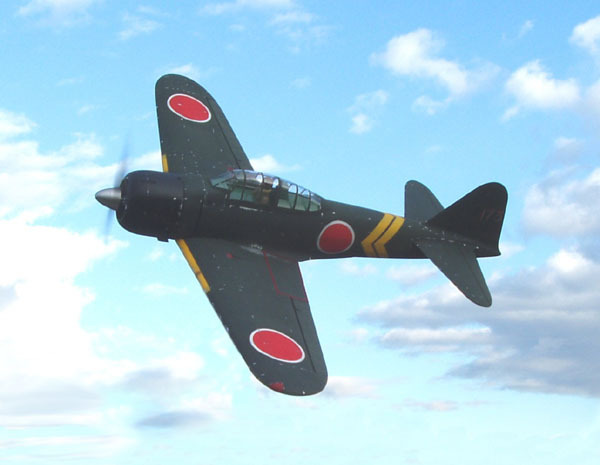 After one was found crashed on Akutan Island, Alaska Territory (“Koga’s Zero”) and made flyable, US tactics were explored for fighting this nimble little fighter. 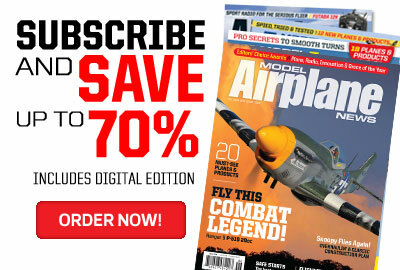 In 1942, instructions from the US Informational Intelligence Summary were “Never attempt to dogfight a Zero. 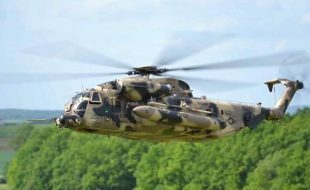 The Zero has superior maneuverability to all our present service type aircraft.” That’s quite a bit of instruction! Years ago, my father started the Royal kit of the .19 sized Zero, but he passed away before finishing it. I remember as a kid seeing the framed up Zeke in the rafters, waiting to be finished. I’ve always liked the clean lines, and excellent force arrangement of the Zero, and so I sat down and drew out what you see here. It is a 1.25″=1′ model for electric power. Several considerations were made. Keeping the tail light, the nose strong, and construction simple were paramount. I was not confident that a hatch would work well, or fit well enough for battery removal, so I designed a “quick release” latch setup so the entire wing effortlessly comes off. 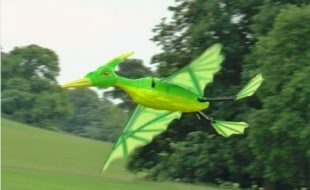 It has worked out great, there are no hatch lines on the fuselage, and battery changes take only seconds. 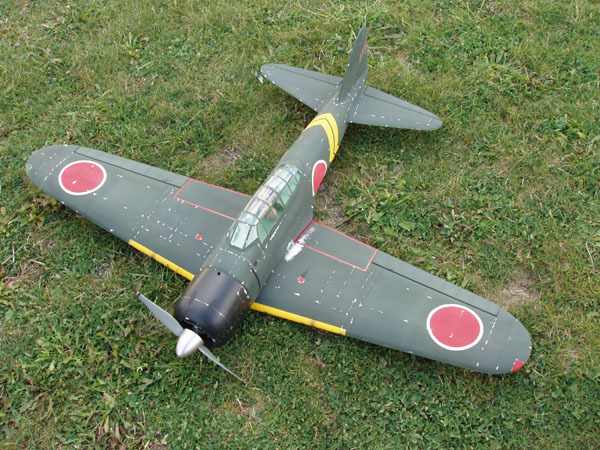 If you fancy yourself a little bit of an aerial Samurai, a fan of radial-engine fighters, or just love the Zero, then I suggest you build this nimble little fighter, she won’t disappoint you! The model is 100% accurate in outline, and she flies as good as she looks. With some creative modifications, it could be turned into a M1, M2, M5 or even a Rufe! 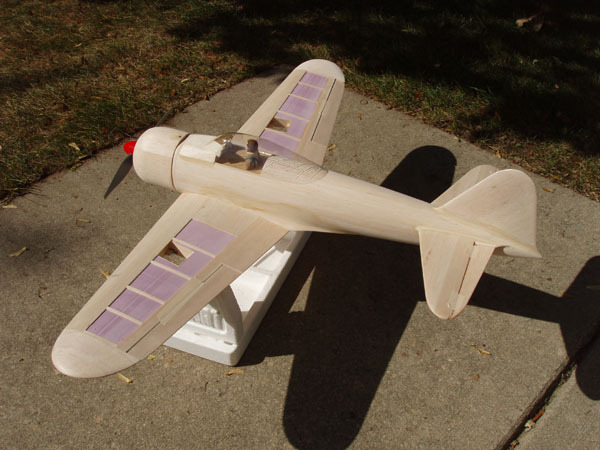 The wing is a foam core affair, sheeted or cap-stripped with balsa. 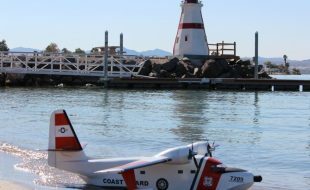 Retracts are an option, but they were not used on mine for simplicity, weight, and due to rough grass field restrictions. The structure for them is drawn on the plans, however. The plans have the wing core templates, as well as all measurements needed to cut the cores. Cut them with 1/8″ washout per tip. Also cut the dihedral in the root to spec. Decide if you will be building a hand-launched variant (lighter and simpler) or a retract/fixed gear variant( heavier, more complicated, but “cool”). Once your cores are cut, remove the handhold area OR retract area, and make the pockets for the aileron servos. 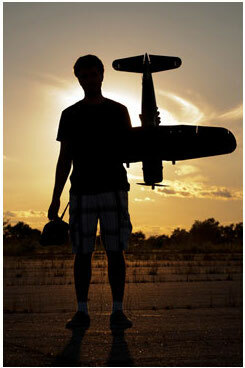 Use a 1/2″ diameter sharpened tube to bore holes through the cores from the center to the aileron pockets. Line the pockets and handholds with balsa. 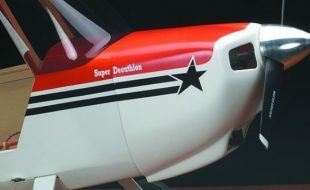 On my model, I sheeted the “D tube” leading edge portion, and a portion toward the trailing edge, and cap stripped in between to save weight. When finished, it’s hard to tell it’s not fully sheeted. 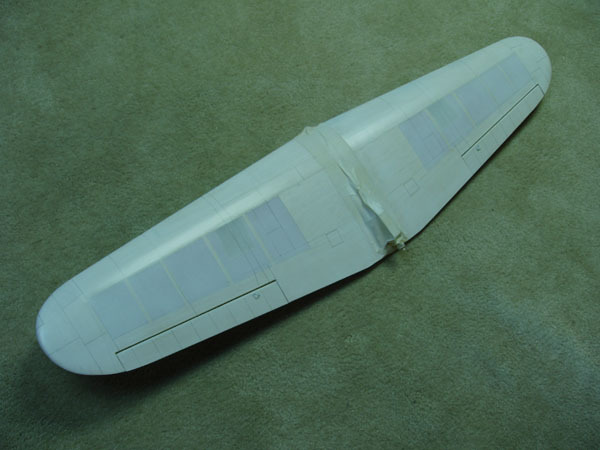 Decide upon full sheeting or cap stripping , and sheet the wing appropriately with light 1/16 balsa. 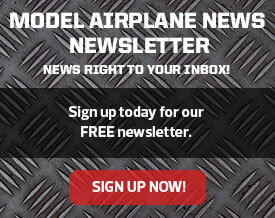 Taper the trailing edge so that the sheeting will come to 1/16″at the T.E. 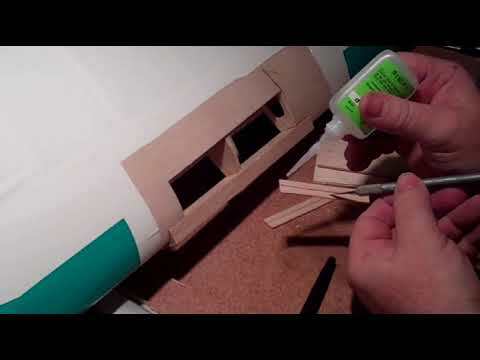 Add the leading edge balsa. The cap strips are 1/16 x 3/16. I did not use the ply spars as in the center section as shown on the plan and the wing has held up fine, but if you land hard or fly at Mach 2, you may want to use them on the hand-launch version. There is enough wing there on the retract version to stay together without dihedral braces if there are no handholds cut out. 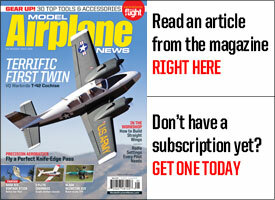 If you are using them, cut the wing vertically and make the braces from aircraft ply. 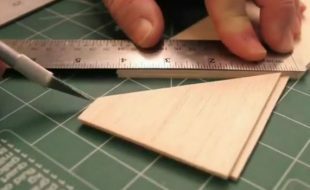 Cut your wing tips from light block balsa, and attach them, then carve/sand to shape. Cut the notch in the wing roots for the release tab , and join the two panels together with epoxy. Sand the center leading edge and trailing edge straight, then wrap the center joint with glass cloth and 30 min epoxy. 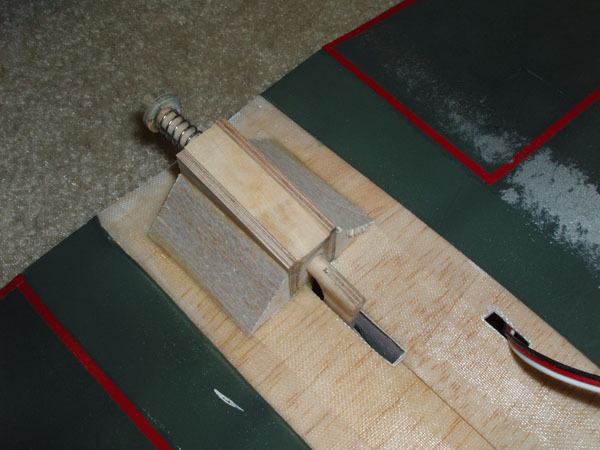 Build up the release for the wing from 1/8 aircraft ply (not lite ply), a hardwood block, a 1/4″ dowel (or better yet, carbon rod), spring, ply “donut”, and some triangle stock. Cut through the top wing sheeting to the bottom wing sheeting and slide the release in so that it fits against the bottom wing sheet. DO NOT glue it in yet though. 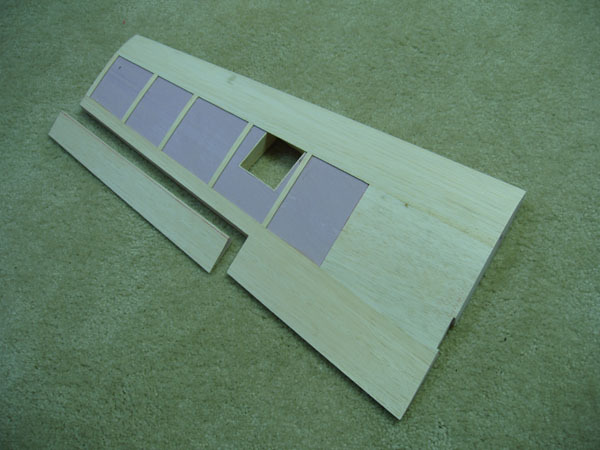 Cut the ailerons and excess balsa from the wing, and install the wood facings. Bevel aileron facings to allow at least 25 degrees of up/down travel. The wing went together quickly , didn’t it? I’ve talked to Mark on a number of occasions at the Mid-Am and he’s quite the guy. Lots of enthusiasm and ability. 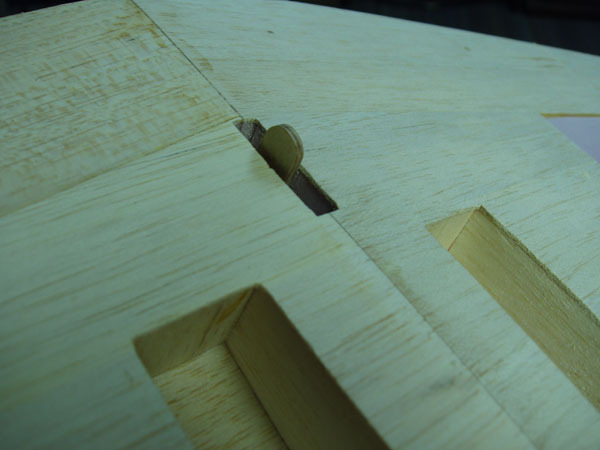 I’m amazed the wings can hold up with just two dowels – one in front and another in back. 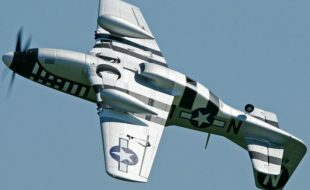 I’ve been looking for plans for a zero and I think I may have just found my plane. A very clever and modern build.